Back in 2015, Kathleen Shea and I published an article in Cureus, an on-line peer reviewed medical journal that is indexed in PubMed. The article can be found at http://bit.ly/1EvOjZh. 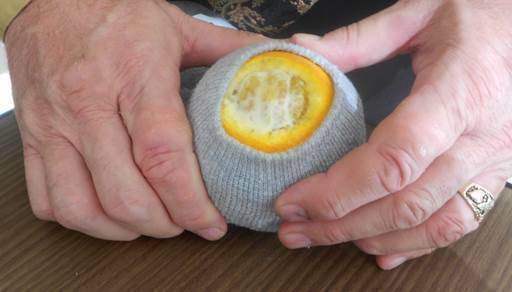 In a nutshell, we created a way to use oranges and grapefruit to simulate cervical dilation and effacement. If you are looking for an inexpensive way to teach nursing and medical students what a dilated and effaced cervix feels like, give the article a look. To access the entire article, you will need to sign up with Cureus, but it is free and the information that’s showing up on Cureus is really very good.